Saturate Audio is one of the hottest record labels at the moment with stunning productions so far from many super talents across the world. Styller is co-owner of the label along with Basil O’Glue and his productions and remixes so far have attracted the warm hearted support of star djs. His brand new creation on Saturate Audio is called ‘What We Left Behind’ and will attract your attention straight away. It moves on the deep progressive trance territory with thick deep bass, techy bouncy beats and dark synthy melodies on top. The breakdown comes quite early and is long and cinematic with great atmospheres, sound effects and heavenly ethnic style voices. The climax is full on with epic hands in the air dark synths and ethnic style voices that will carry easily your soul away for a mind trip to faraway places and spaces. The remix assignment went to Aaron Camz who is loved and trusted producer in the progressive trance scene. His remix is mindblowing with big tribal drums, nice melancholic piano chords at the beginning and then he goes for a full on progressive meets big room main part. His breakdown is equally outstanding with piano, ethnic style voices and suddenly the huge synths appear to bring the track to its full on climax. From within the huge old school synths he reveals a very unique old school rave style synthy lead that will drive the track forward to its climax. Fat banging techy beats, very unique synthy lead and electro infusions as well are in constant play in this truly epic version that is upfront and ready made for main stage use on the summer open air festivals. 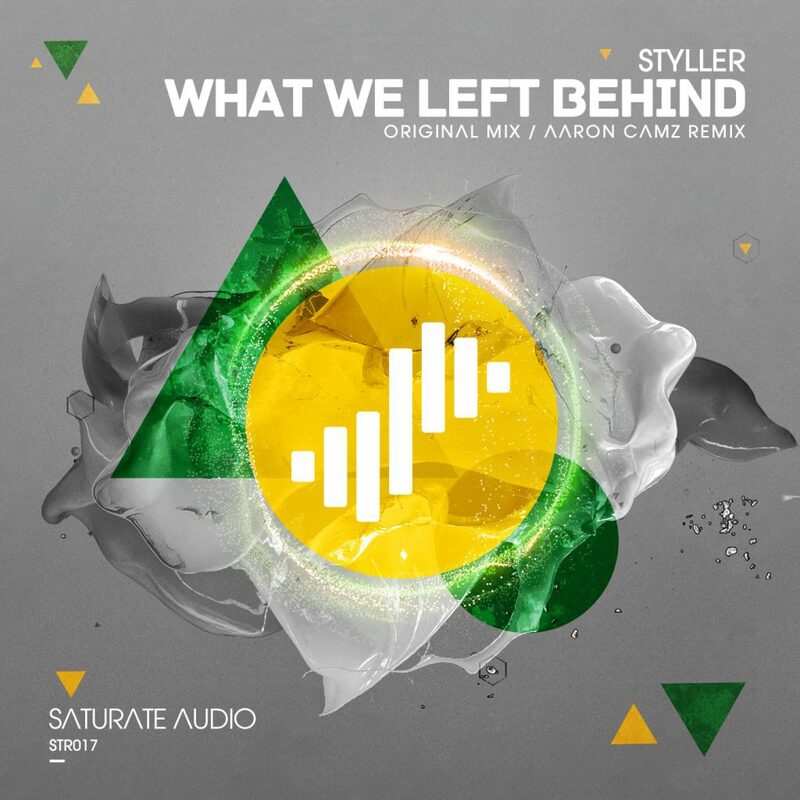 Styller with What We Left Behind confirms that he is one of big hopes and rising stars in the global trance scene.